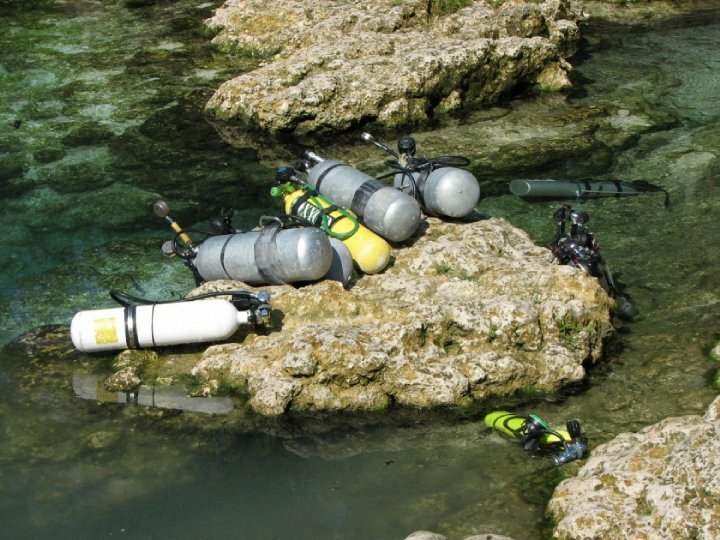 Cave Diving Tanks and Scooters on rock at Little River Springs. SCOOTERS ARE AWESOME! 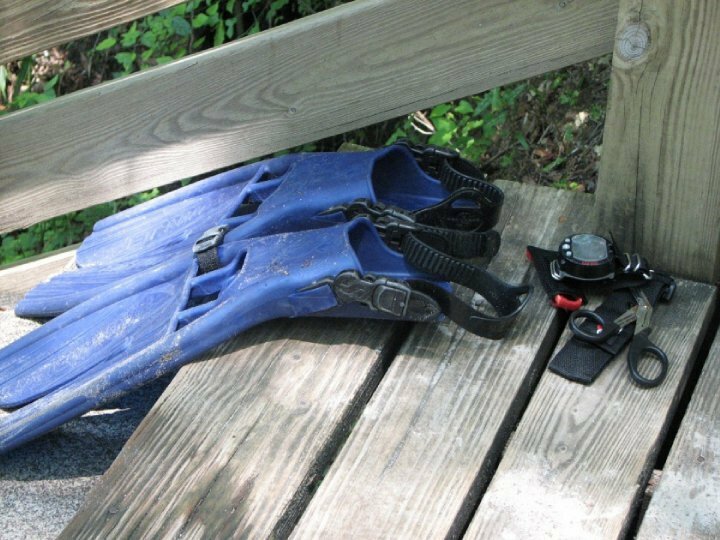 🙂 They are so much fun when Cave Diving or Scuba Diving! 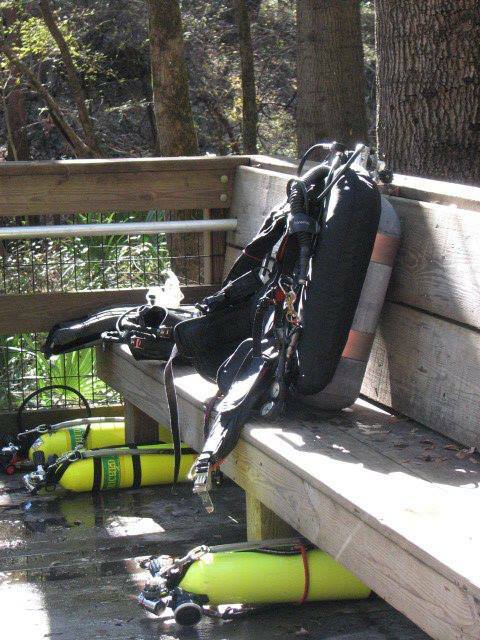 Ginnie Springs – Scuba Gear on steps. 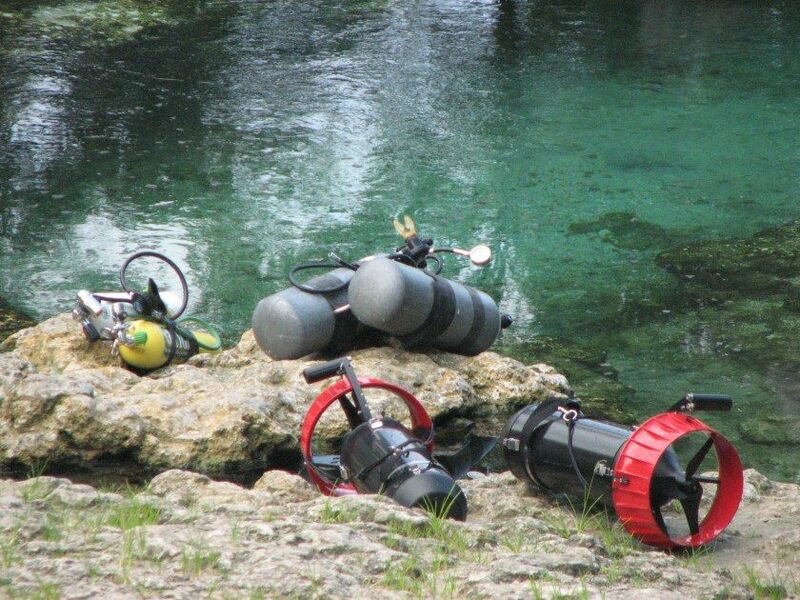 Cave Diving Tanks on rock at Little River Springs.